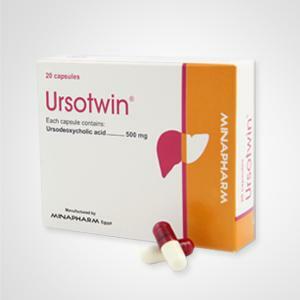 Pack: Ursotwin® is available in a box of two strips, each strip contains ten capsules. (1) Primary sclerosing cholangitis: Inflammation and fibrosis of intra &/or extra-hepatic bile duct system, with doses up to 30mg/kg/day. (2) Primary Biliary Cirrhosis: Cholestatic disorder due to destruction of small and intermediate sized intrahepatic bile ducts. (3) Intrahepatic Cholestasis in Pregnancy: Cholestasis of pregnancy associated with high fetal risk.It was difficult or nearly impossible to treat it in the past. It results in bile acids crossing the placenta. Excipients: corn starch, aerosil (silicon dioxide), magnesiumstearate. Capsule shell: gelatin, titanium dioxide, erythrosine ‐ FD & C red3, indigo carmine ‐ FD & C blue 2. For the dissolution of radiolucent cholesterol gallstones notlarger than 15 mm in diameter in patients with a sill functioning gall bladder despite the gall stone(s). 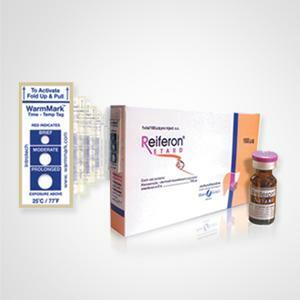 For the symptomatic treatment of cholestatic liver diseases e.g.Primary Biliary Cirrhosis (PBC), Non‐Alcoholic SteatoHepatitis(NASH) & Chronic Hepatitis.The use of Ursotwin® capsules in primary biliary cirrhosis may becontinued indefinitely.In patients with primary biliary cirrhosis, in rare cases the clinicalsymptoms may worsen at the beginning of treatment, e.g.pruritis may increase. 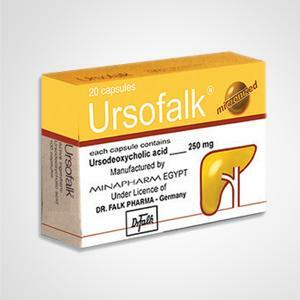 Should this occur, therapy should becontinued with a dose of one Ursotwin® capsule daily, and thedosage then gradually increased (by 1 capsule daily each week)until the dose indicated in the respective dosage regimen isreached. The time required for dissolution of gallstones is generally 6‐24months. If there is no reduction in the size of the gall stones a􀅌er 12months, the therapy should not be continued. The success of treatment should be checked by ultrasoundinvestigation or cholecystograms every 6 months. At the follow‐upexaminations, a check should be made to see whether calcification ofthe stones has occurred in the meantime. Should this be the case, sotreatment must be ended. One capsule daily swallowed whole with some liquid in the evening atbedtime. 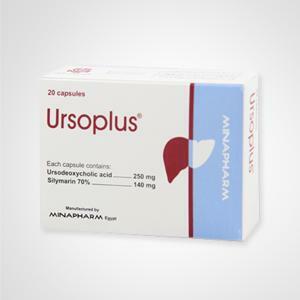 Ursotwin® capsules should generally be taken for 10‐14 days. Theduration of use depends on the course of the condition. 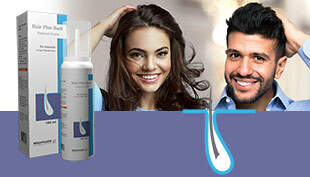 The duration ofuse is decided on an individual basis by the doctor responsible fortreatment. The daily dose depends on body weight and is approx. 2 to 6 capsules(approx. 10‐15 mg/kg body weight).